After logging into the WordPress Dashboard, click Pages, then click the Add New button. Enter a title for the page, and then click Publish. 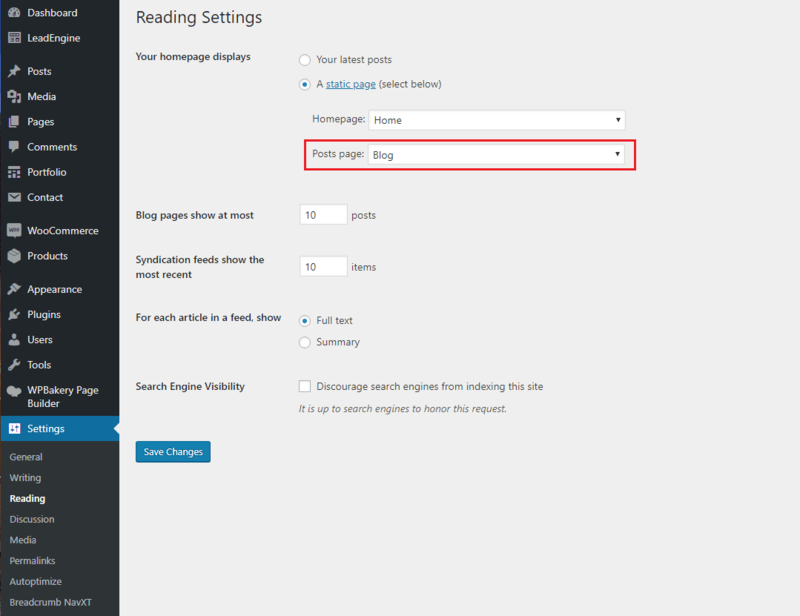 Hover over Settings in the WordPress Menu, and then click Reading. In the Front Page Displays section at the top, the Static Page option should be selected. Select your newly created page from the Posts Page list.